If you have young kids, chances are you have a scooter or two hanging around your home that help make trips to the park or even school drop offs much zippier. My little girl loves her scooter and anything that helps her move a little faster is a plus in my book. Like most four-year-olds she loves to decorate everything with stickers and I know she’ll love being able to add her own personal touch to her scooter with these very nifty scooter clips. SM Kids is a newly developed online company, created by a mother of two young children. Inspired by her four-year-old daughter, she came up with the very clever and creative Scooter Clips. Kids are constantly changing what colours and animals they love, in fact in my house it changes almost daily. 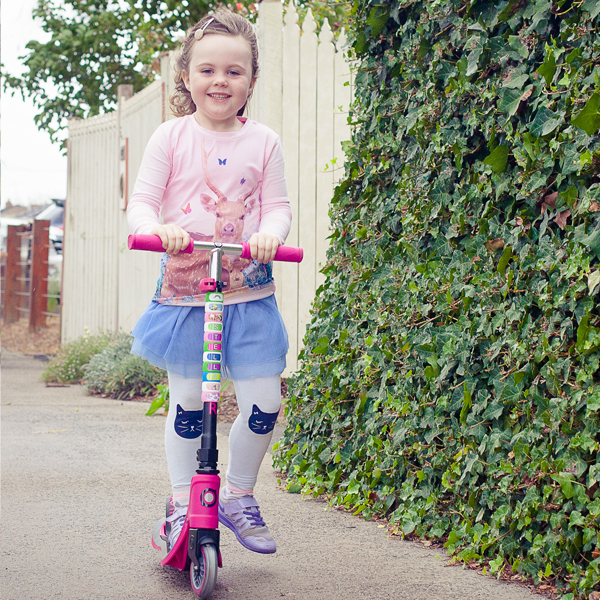 With Scooter Clips your little one can continue to change and style their scooter to their liking. Each pack includes ten clips in five different colours and 130 high quality UV stickers of colours, animals and letters combined. Not only are they practical and affordable they also make for a fun activity. Kids will love being able to call the shots when it comes to designing the look of their scooters. 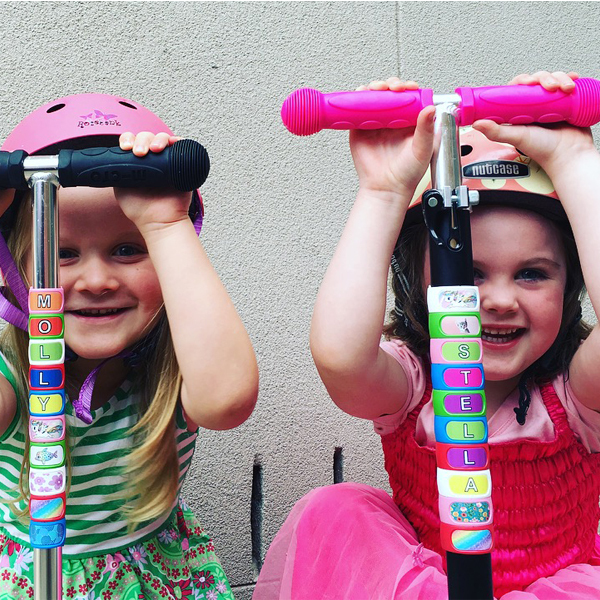 The customised stickers will allow your little one to add a bit of their personality to their ride or even their name. Helpful when there’s a bunch of scooters in the kinder yard that look the same. The clips are Australian made, available in sizes small and medium and have been designed to fit on most scooter bars. Priced at $20 you can order direct from SM Kids.